Klik untuk versi bahasa Indonesia. 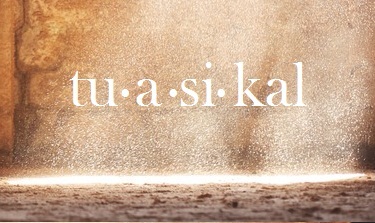 For those who curious about my first name. Been living in the US for couple months, I am now able to recognize the part of myself that interest people the most: my name, Rio. This actually Portuguese for "river" but I don't have Iberian blood in me (at least to my knowledge since I haven't taken an ancestry test yet). I will discuss this at the end of this writing. But first please take a look three main scenarios on how people will react to my name. In most cases, some people think "Rio" is too good to be true. Like, how can Asian guy like me has such an easy name? Oftentimes, mostly at Starbucks, the cafe register will ask once again my name just to make sure that they are not mistaken. "Rio as R-I-O?" they asked me several times. "Yup. That Rio," I replied. But that's not always been the case. Few times some people want to make sure if Rio is my actual name or simply a nickname. "Oh no, it's on all of the paperwork and legal documents," I said firmly. Later I learned, some of them didn't know that Indonesians use the same Latin alphabet like in the US and Europe. They think Indonesia has other writing systems like Thailand (อักษรไทย), India (देवनागरी), or Japan (ひらがな). The most interesting part of that name is when I meet Hispanic friends. My friend from Colombia, Emma Pabon, said I am the only Asian guy that she can pronounce the name easily. Even though my name is in Portuguese and she speaks Spanish but those are quite similar. "Are you from Brazil?" is like the most frequently asked question. And I will say something like, "I am from Indonesia, actually, but my name has something to do with Brazil." In addition to those, probably by looking at my face, sometimes people are guessing if I come from South America and trying to start a conversation with me in Spanish. "Habla Español?" This happened in a convenience store and at the pedestrian walk. I would love to learn Spanish but at this moment I don't speak the language. I know that in Indonesia, Rio is not as common as "Joko", "Rizky" or "Dani". So why did my parents give me this name? To give you an idea, I have two cultural backgrounds in my root. My father is half Ambonese (Malay-Papuan mix, roughly Southeastern Asian and Pacific Islanders) and half Sundanese (Malay). While my maternal blood is full Sundanese from Tasikmalaya and Sumedang. Why didn't my parents give me Sunda name like "Asep" or maybe "Andri"? Being a quarter of Ambon mix maybe has something to do with this. Please note that Portuguese is the first European who came to Ambon Island in 1512, before Dutch in 1605. During trade and colonial era, many local Ambonese married with Europeans and then have mixed blood. But this history neither has something to do with my name. 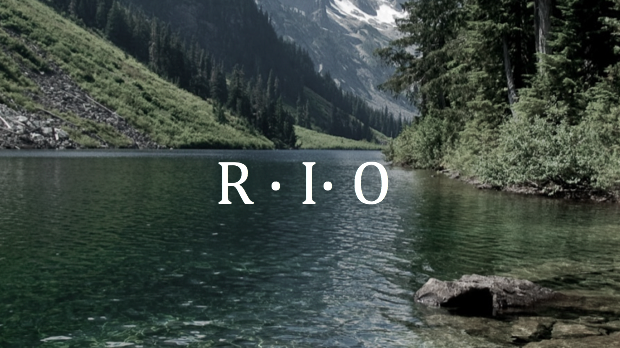 So "Rio" is just out of nowhere? Nope. I was actually named after Rio de Janeiro in Brazil. The inspiration was coming from my father, who was a young adult back in the 80s, was falling in love with groove music from a German quintet, Trio Rio. Their single about three vibrant cities "New York, Rio, Tokyo," reached number three in German chart in 1986 and found it's way to my father's favorite list. My father was really hooked up to the song he even used "Rio" as a nickname in amateur local radio communications. During this time, my father under "Rio" name met my mother who agreed to pass me that his story. That's how I get this name. The song has New York aspect and Tokyo as well. I've had a chance to visit the Big Apple two years ago and again soon during my stay in the US. But Tokyo? I need to book a flight to get there! And here's the song, please enjoy!